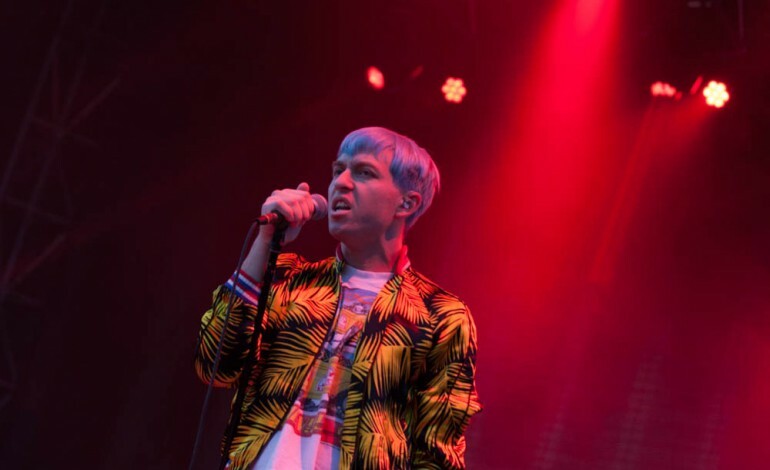 With their new album set to release in April, Indie-pop band The Drums are set to take the stage in Los Angeles this summer. Jonathan Pierce and touring members will perform at the Hollywood Palladium on Saturday, July 27th. Tickets for the event are general admission standing only and are priced at $35. The performance at the venue will begin at 8:00 PM while doors are expected to open sometime around 7:00 PM. The show will be available to all ages. The Drums were founded in 2008 by close friends Jonathan Pierce and Jacob Graham. The band then eventually acquired additional members Adam Kessler and Connor Hanwick for support. The group were primarily recognized for their signature surf rock sound that is highly influenced by The Smiths. Their self-titled record, released in 2010, ranked high on several music charts around the world. Several years and roster changes later, the highly anticipated Brutalism album is scheduled to release on April 5th of this year and is supposed to feature “the best collection of songs in the band’s ten-year span”. With Jonathan Pierce currently being the only member of the band, fans are curious to see what he has conjured up for 2019. Pierce will take the stage with his touring members Bryan de Leon (Drums), Johnny Aries (Guitar, bass, backing vocals), and Tom Haslow (Guitar) on this fine evening. Classic tracks as well as tracks from Brutalism will be performed to create a fun and memorable night.